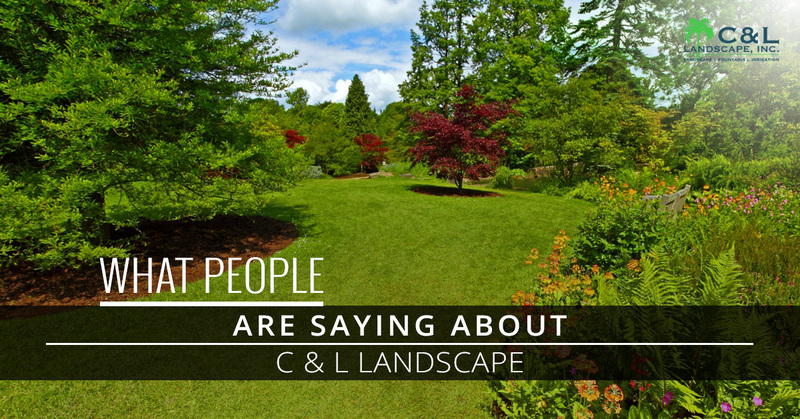 After over three decades in business providing Jacksonville residents with landscaping services, people have had a lot to say about us. Over the years, we have had extremely positive feedback from clients, much of which focuses on our ability to get jobs done on time and stay on budget, the fact that we clean up at the end of each day so your area looks great – even in the middle of a project, and that we go the extra mile for each of our clients. If you want to read our reviews, head over to our review page on Home Advisor, Facebook, and our testimonials page. After 30 years in business, we have found a system that makes our customers happy time and time again. It starts with a commitment to each and every project and pride for having the best landscaping company in Jacksonville, followed by our knowledge and expertise. Need Expert Landscaping Services? Contact Us! Without further ado, here are a few great reviews we have received over the years. Hi, Gretchen. Thanks for the review! We know how frustrating it can be bouncing around from one landscaping company to the next, and we’re thrilled you’ve chosen to stick with us. This allows us to build relationships with our customers and better understand what they want for the next project. It makes our job more enjoyable and hopefully makes things easier on your end. You’ll notice in these reviews that a few people mention our initial walkthrough where we offer ideas on how to make your landscaping great. We never try to nickel and dime our customers, but we do use our expertise to help provide advice on what will look great and function great for your yard. Thanks for the review, Tony! We appreciate this review because it shows that we do much more than just beautify lawns. Our Florida residents know the importance of having proper drainage when it comes to maintaining a beautiful yard and warding off critters. We are glad we could help get your yard in shape, and thanks for always coming back to us! We appreciate your repeat business and it’s always a pleasure to work with past customers. This is one of our favorite reviews. A little wind and rain won’t stop our crew! Realistically, we would have stopped working that day if it posed a threat to the safety of our crew, and we know most people would understand. However, one of the things we take the most pride in is staying on schedule. If we are late finishing your project, we are late to start on the next, and this turns into a bad business cycle that is far too common in the landscaping industry. We believe where there is a will, there is a way. Our crew is dedicated to providing great service, even when that means working in poor weather. Hi, Maggie. Thanks for leaving this great feedback! We are happy we were able to meet your expectations, keep on schedule, and keep the work area clean. We always go the extra mile to get jobs done right the first time, and do what we can to keep them looking great – like watering your plants while you’re away. Thanks again! Well, there you have it. We do what we can to maintain a reputation of the “best landscapers in the Jacksonville area.” We appreciate our customers and would be nothing without them, and we look forward to working with new people. Contact us today to get started with any of our landscaping services!